Ames, IA – No. 22 Tennessee fought past slow start to defeat Iowa State, 68-45, at Hilton Coliseum on Saturday as part of ESPN’s Big 12/SEC Challenge. 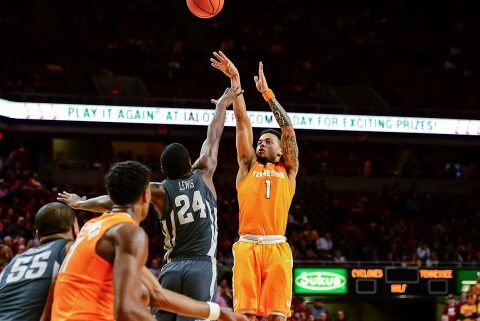 The Vols (15-5) are 3-1 when competing in the cross-conference showcase and have now won five true road games this season, which is more than they had all of last season. UT had total control of the game in the second half, holding at least a 15-point lead for the final 18 minutes of play. The Volunteers would knock down 12 threes en route to Rick Barnes 650th career victory as a head coach.